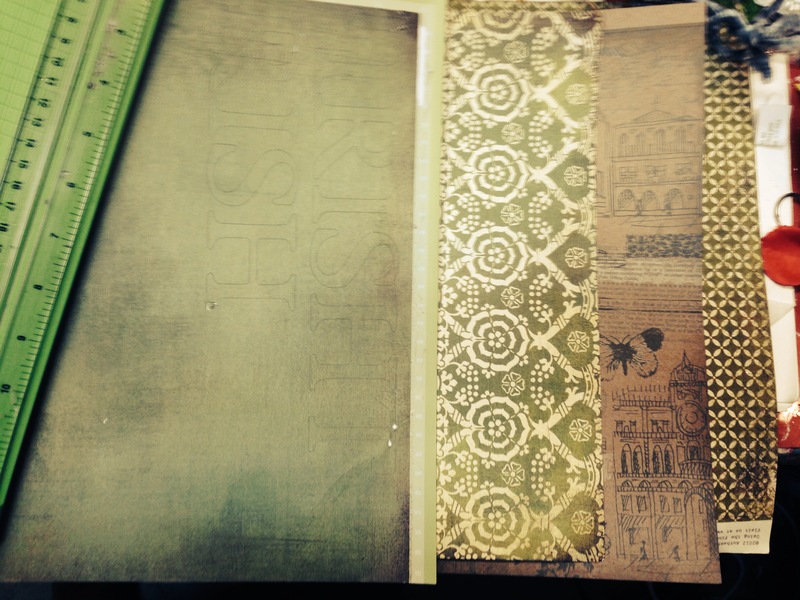 t’s a Documented Life Project Art Journal Page. 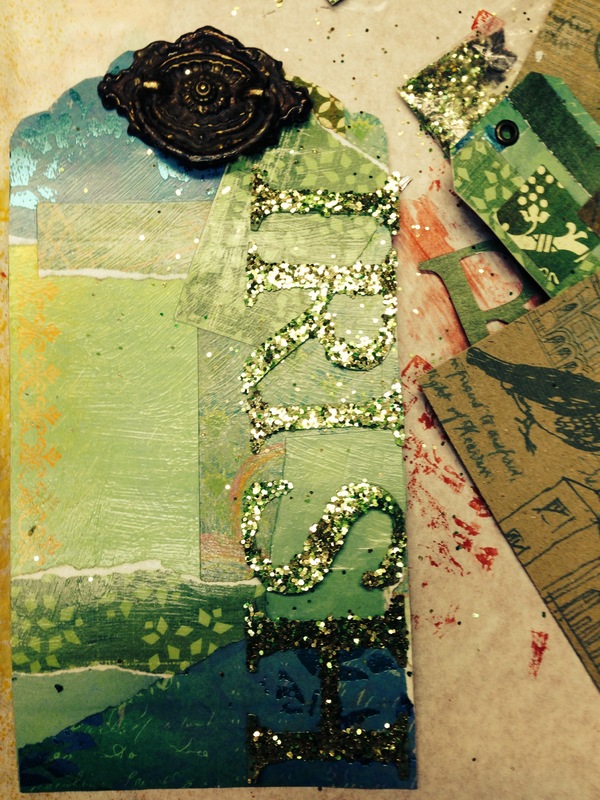 The challenge: Gelli Plate Printing. I took this challenge to its max. I printed every image, design, circle, dot on the page except for the black uniball pen and the key rubons. 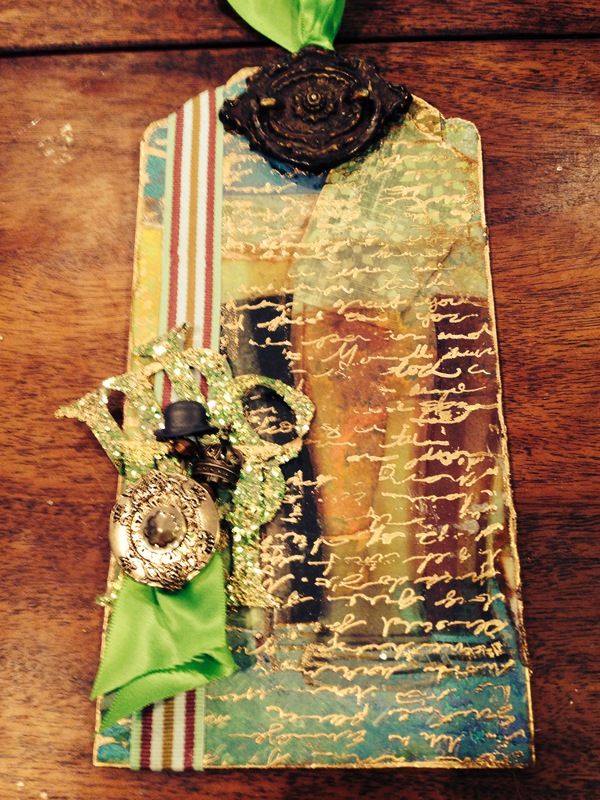 I added the rubons after I adhered my page in my art journal as it seemed like I needed to create a cohesive page. 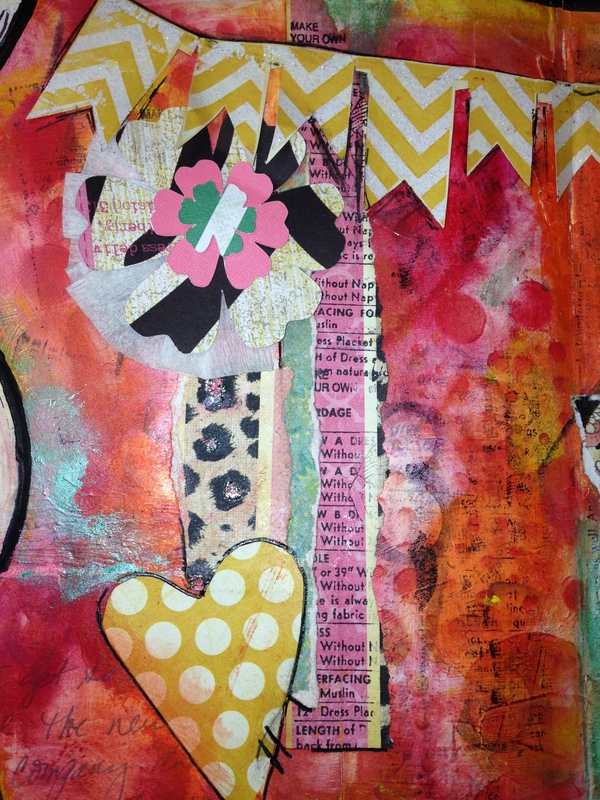 It looked like I had simply glued my art journal page to my art journal which is fine but I like a more cohesive look. For an afterthought I very much like the keys. 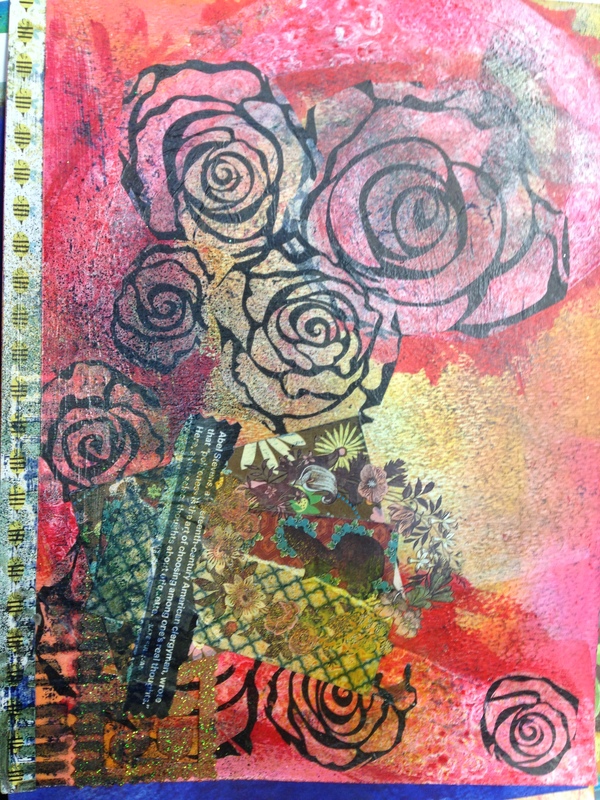 The Gelli Plate is a really cool monoprinting invention. 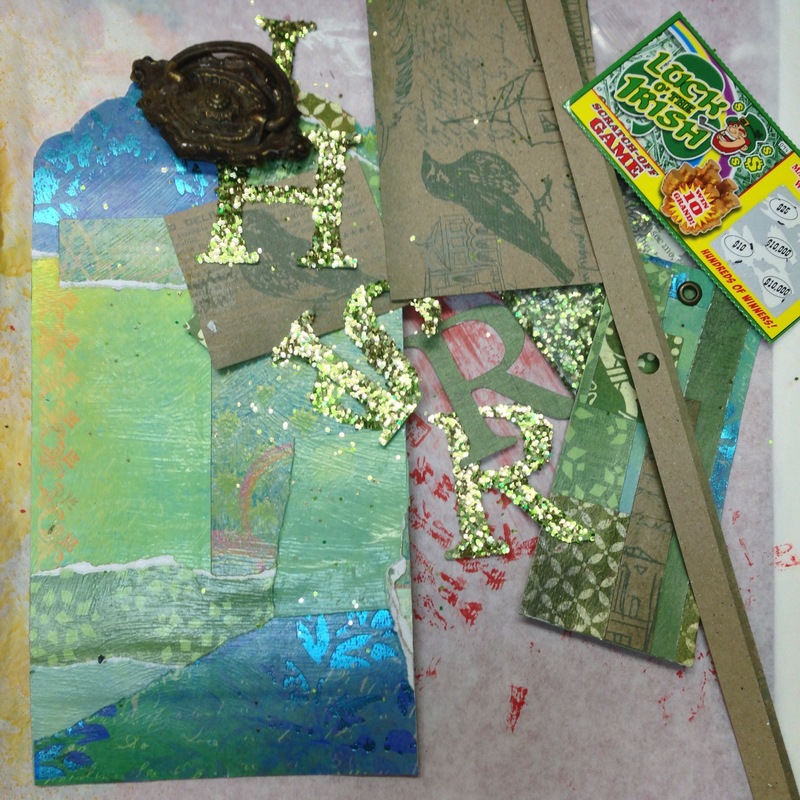 Thank you Gelli Arts. 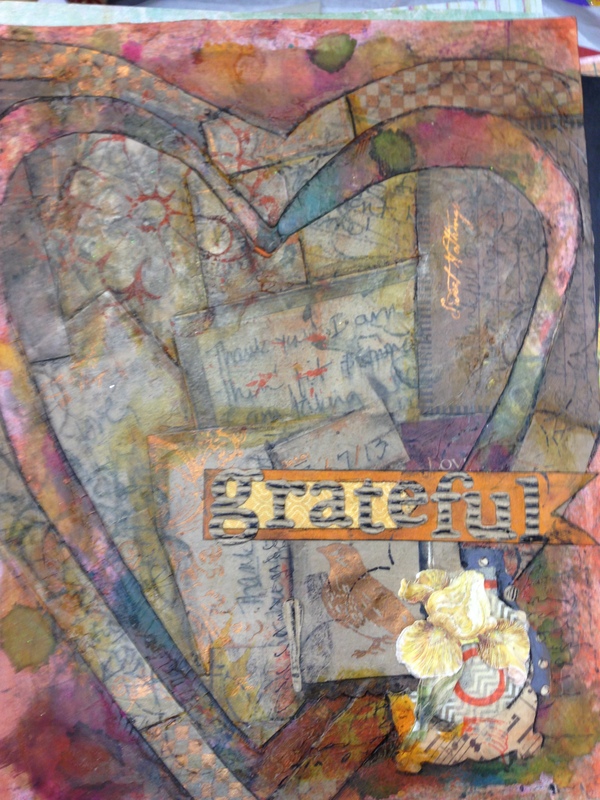 If you haven’t heard of Gelli Plates or haven’t used yours since you acquired it check out sample suggestions at the Gelli Arts Website. There are tons of great tutorials and tips. 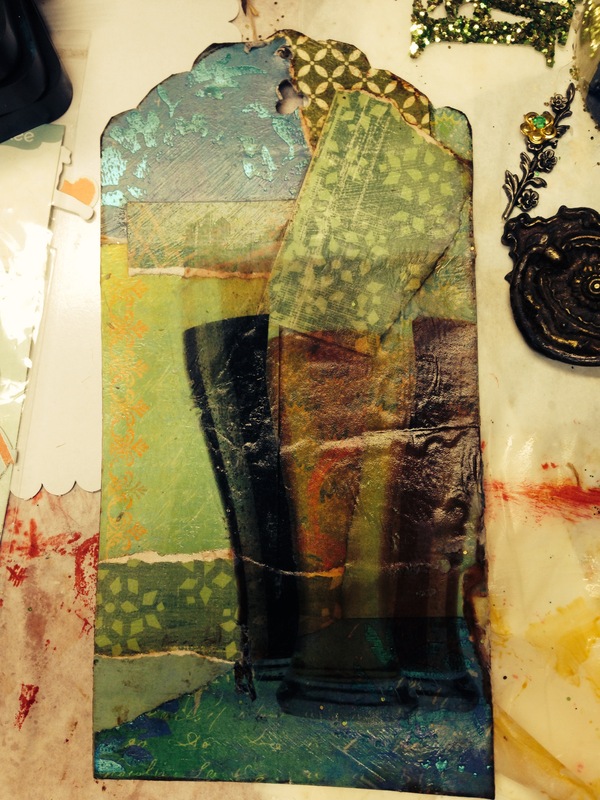 I must admit while I use my Gelli Plate I am by no means an expert nor do I use it as anything other than a tool. I usually slap on some paint. 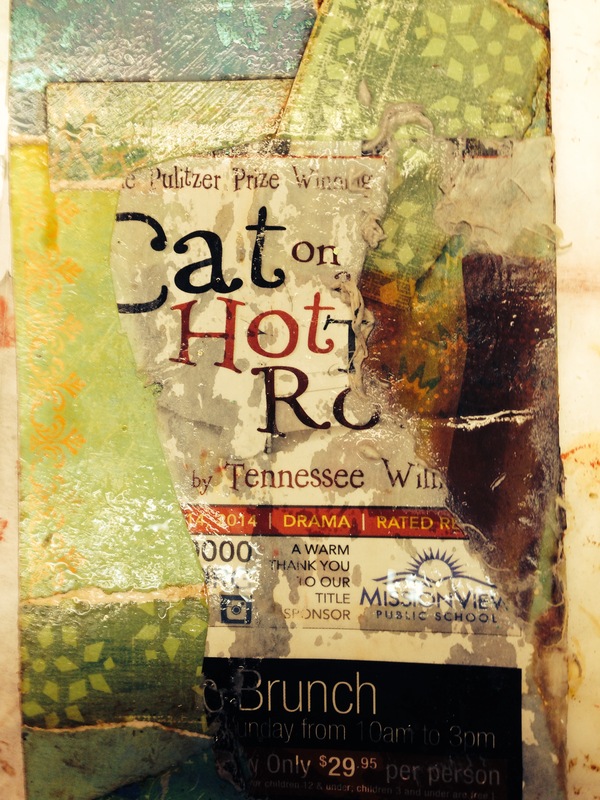 Smear it around with a brayer or my finger and place a piece of paper on top of the plate. It is a quick way to add a background to build on. In this DLP page I really pushed myself to use the plate differently than I normally do. 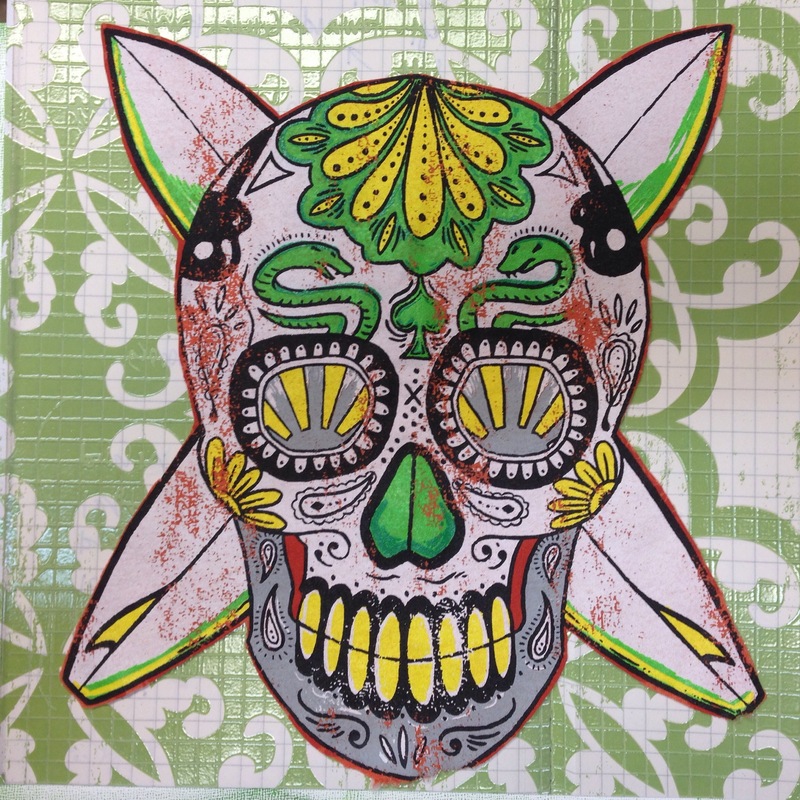 I put my stencils and detail work on the Gelli Plate and printed. I have layers and layers on my page. I love the look. It reminds me very much of Rae Missigman. She is a DLP instructor. 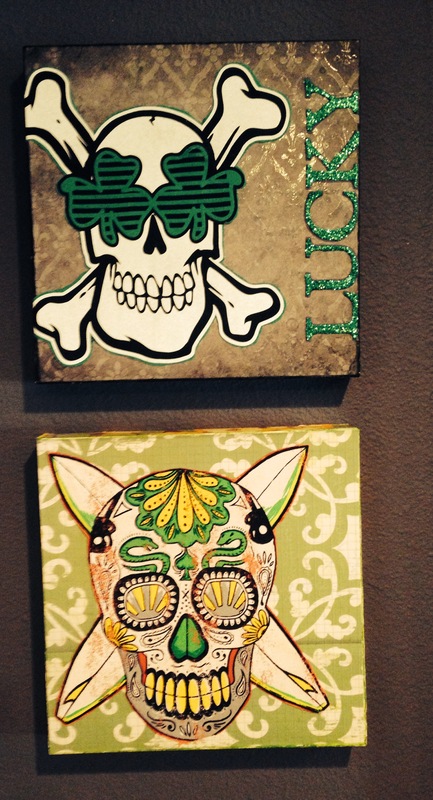 Her new stencils were featured and boy did I want to rush out and purchase them. So fun. So great. So NOT cutsey!!!!! Thank you Rae Missigman. 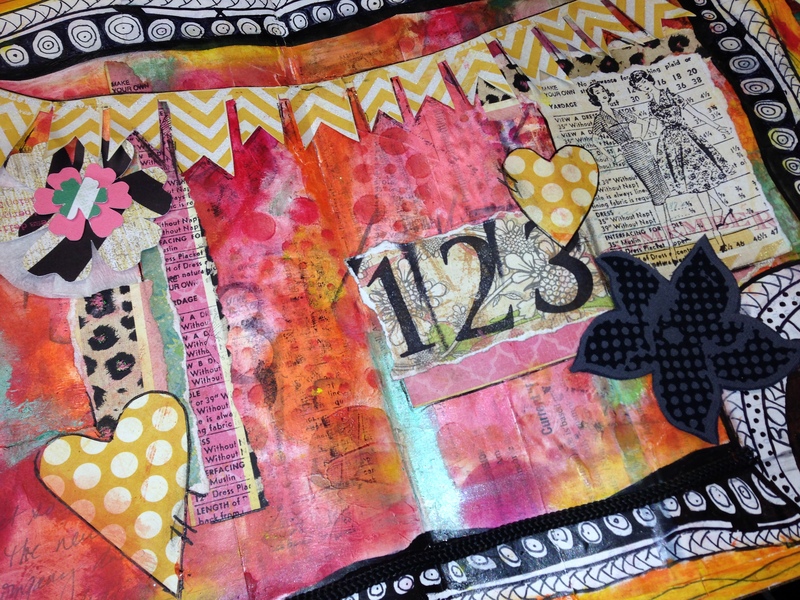 In any case, I was inspired to use some of her stamps on my Gelli Plate. 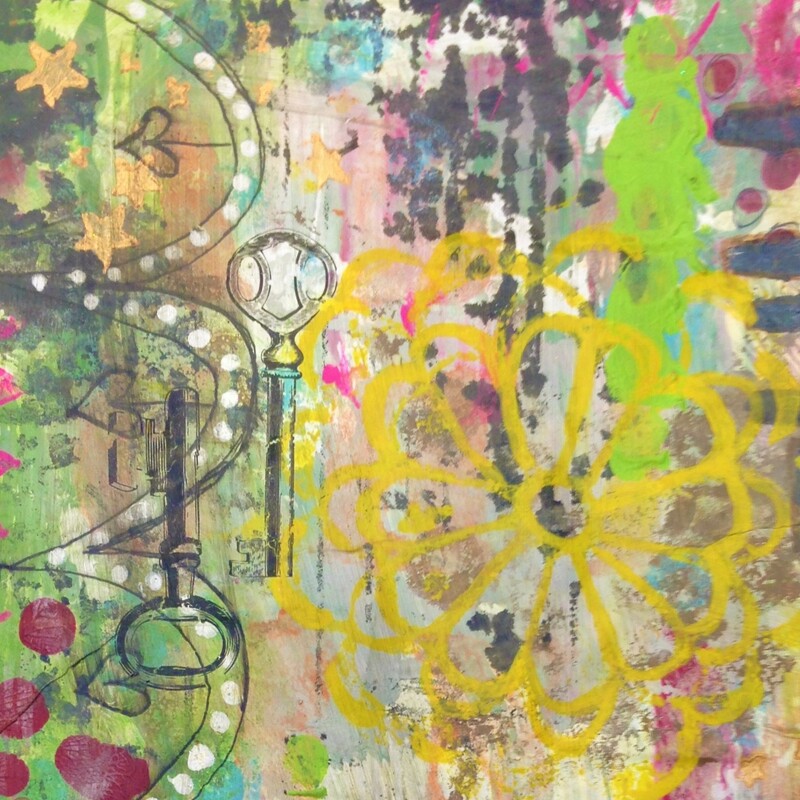 So try it out…you can paint, stamp, stencil, dot, scrape, stencil, polka dot, write on your Gelli Plate and print one after the other. Hi. Happy Friday. 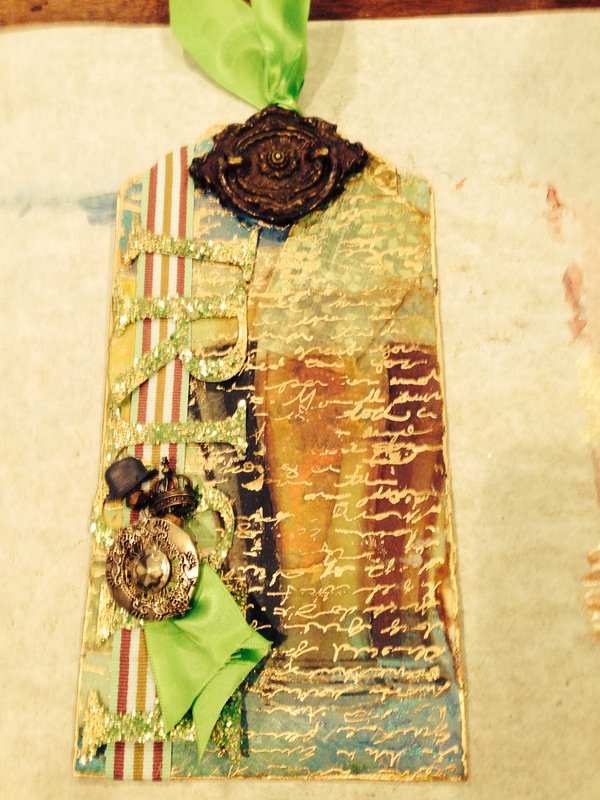 It’s an art journal post. As you probably already know I am taking the Documented Life 2015 Project Video Challenge this year. I have really been enjoying the experience. I like the challenges and the wit in the prompts. As with anything else some weeks are better than others. This week was really fun. I have never zentangled but since the challenge was “borders” I was inspired by the idea of strong graphic black and white borders with a colorful interior. I added a piece of black cording as part of the border. I love the sneaky textural play. I also collaged a crepe paper rosette and a new sew fabric flower. 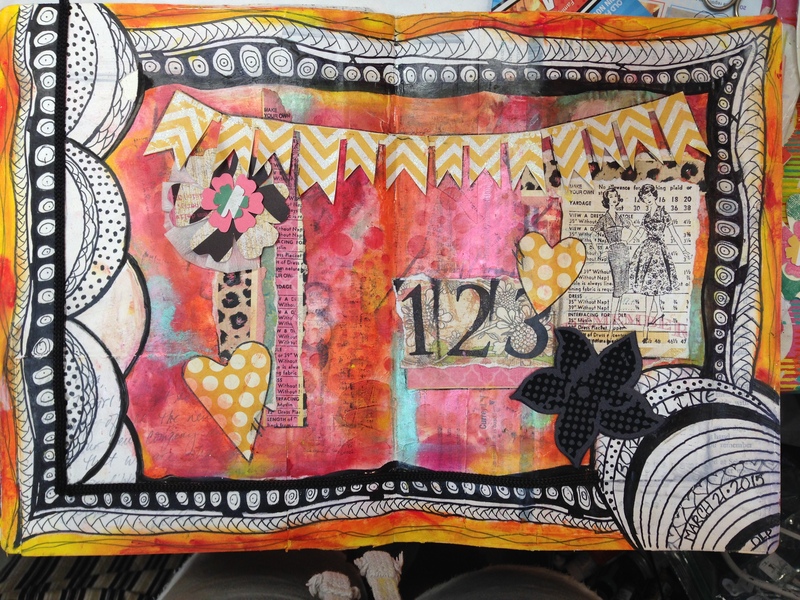 I am pleased with this art journal page but gosh the border took an incredible amount of time. I work faster than the zentangle patterns allowed me to. I did however find a rhythm and found it relaxing. 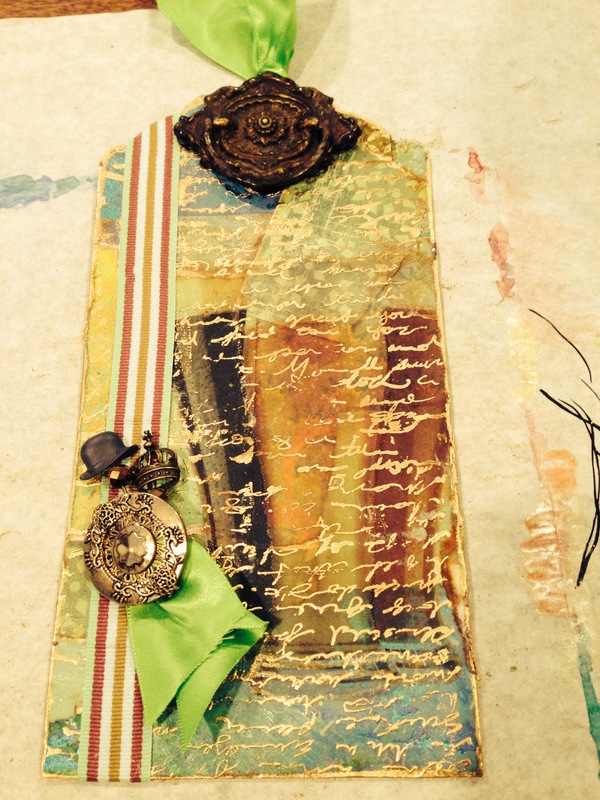 The Documented Life Project (DLP) 2015 Borders Challenge. See my string added to the border along the right side. You can see the crepe paper rosette under the zebra flower. Love today’s tags! 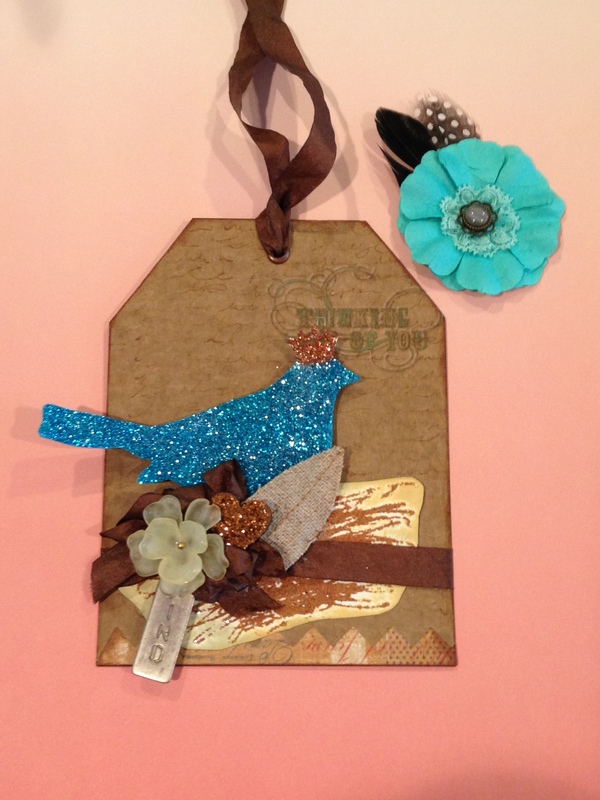 There is a great tag with a glittered blue bird and a great tag with a little gift pouch. I created them at the same time and love how each of them stands on their own but are even more fun when photographed together. 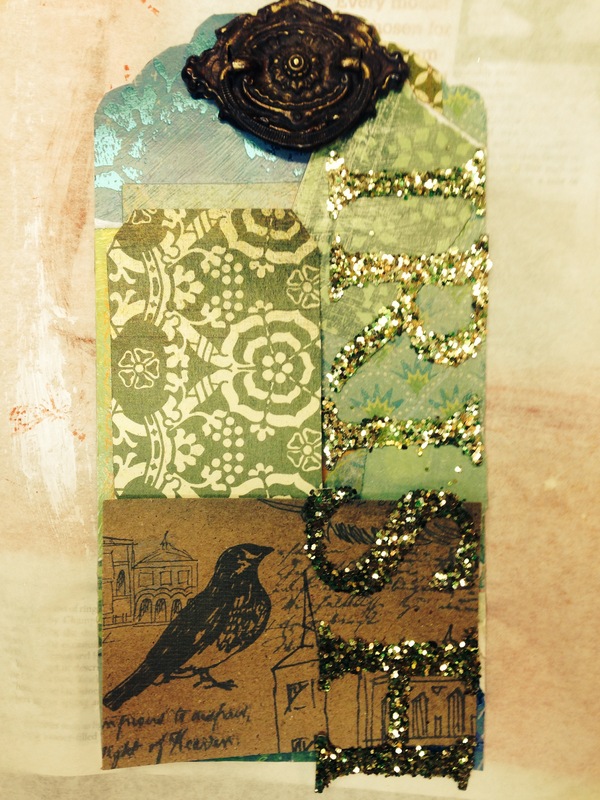 The gift pouch tag is sophisticated mix of art and function. As so often in art or in creating anything, I didn’t set out to create a functional piece, I set out to create a piece using my leftover Cricut die cuts and a tag from my stash. 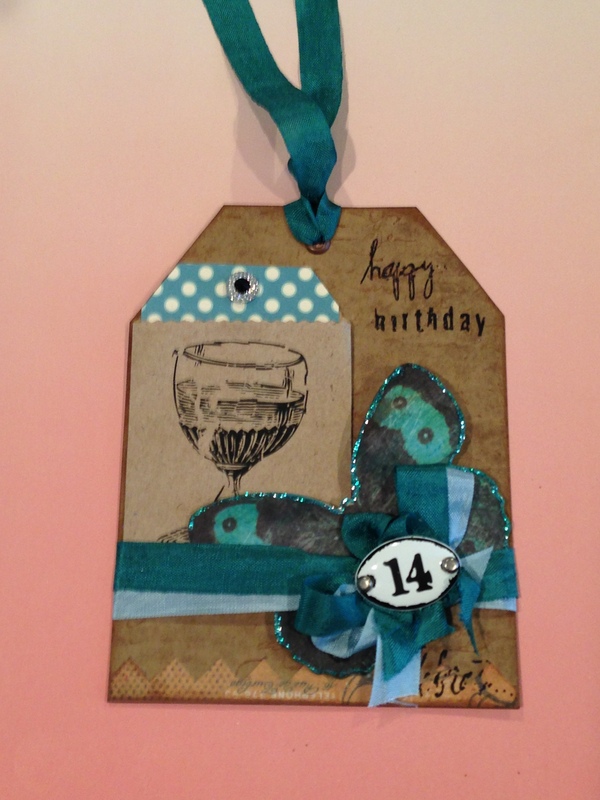 The tag was created from the cardstock that is behind the ephemera in those fun little creative embellishment packets). I had a few itty-bitty craft paper shopping bags and some glitter. 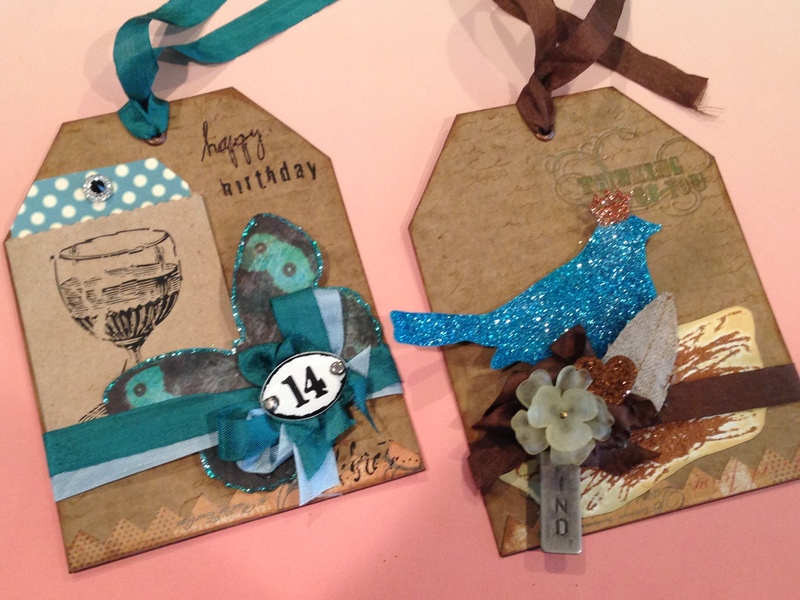 What I got was a beautiful gift tag with the perfect mix of rustic and glittery. 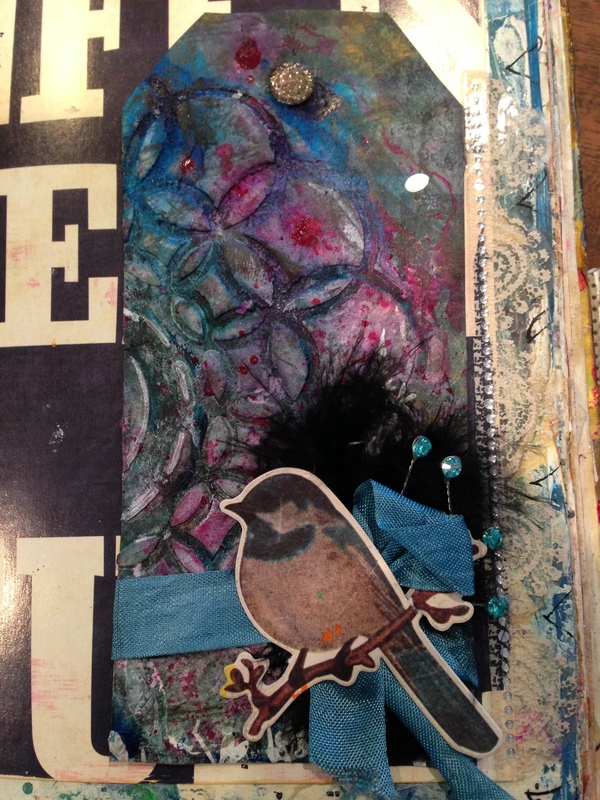 The glittered bluebird was more intentional. 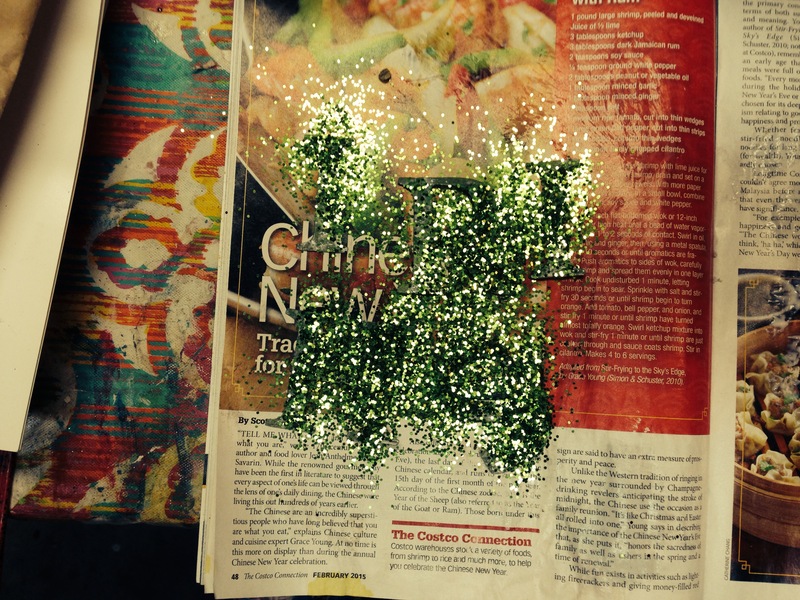 I was experimenting with Tim Holt’s Distress Glitter and wanted to create something that was seasonal and earthy but also with a little celebratory bling to it. I cannot decide which tag I like better. Can you? Enjoy your spring-like (I hope) days! Happy St. Patrick’s Day! Hope your wearing your green! When I think of tags I most often think of small pieces of art. 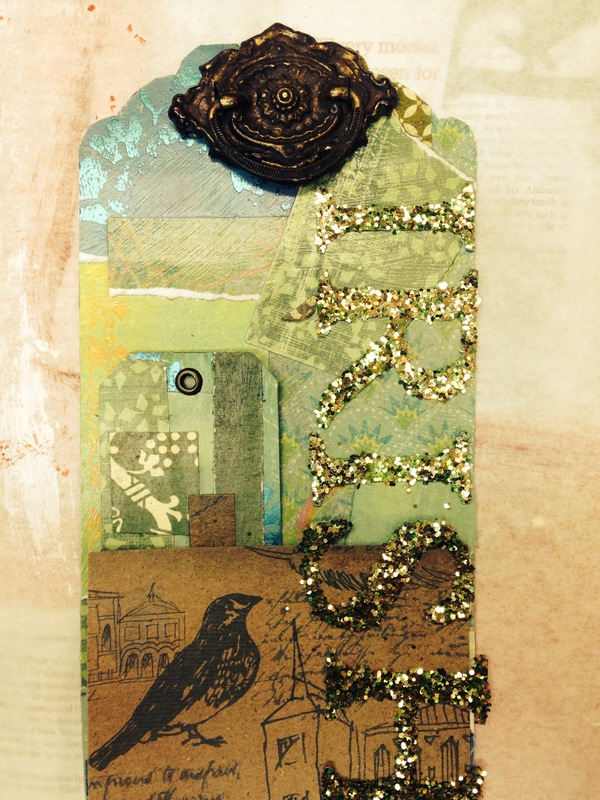 I know that often I use tags to learn or teach a new technique or when I want to create a piece of art that, in theory, will be less time consuming than if I were creating a journal page, a canvas or a banner. However in this case, I created a ginormous tag–okay maybe not ginormous, but the tag is 71/2 inches tall without the pretty green ribbon. A while back, as in a few years ago, I purchased some ephemera in a packet that was backed with a cool tag with a scalloped top. I put the tag in my tag bin (yes I have a bin o’tags). 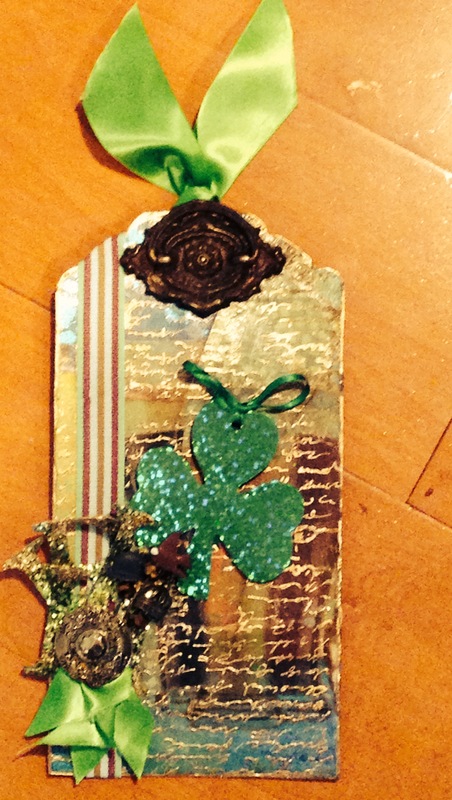 For this project since it was St. Patrick’s Day and all about good fun I decided to alter the ginormous tag. I was inspired by the lush, ubiquitous green fields of Ireland. But then I decided I liked the back side of the tag better. 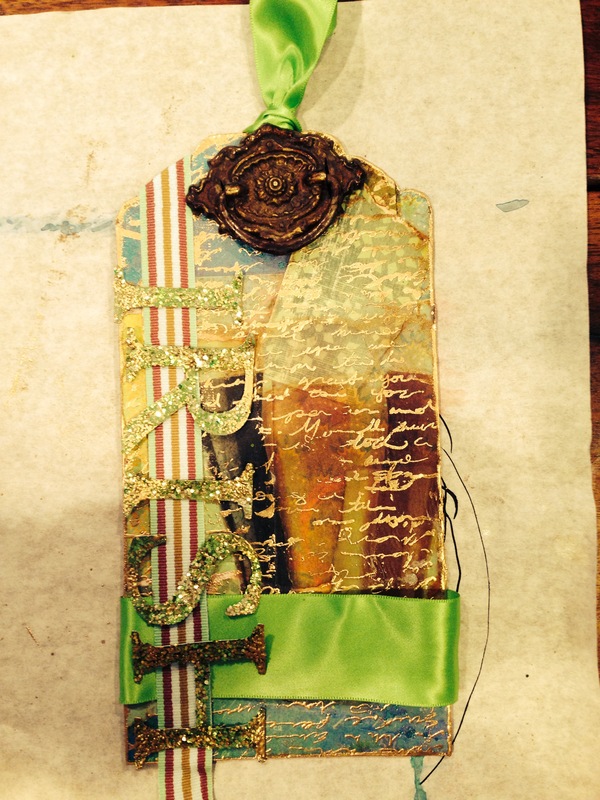 It was more cohesive and the green glittered “IRISH” letters stood out better. I also transferred a magazine image of three “pints” of beer. I thought that was very appropriate. If you haven’t transferred an image yet–fear not! It’s as easy as 1,2,3. First you locate and image and trim it up (or not); then you smear some gel medium ( I use Golden’s Gel Medium) onto the image. Then, you place the image, image side down onto the paper or in this case tag that you want to transfer the image to. Then you do something else for about an hour while you are waiting for the gel medium to dry and the transfer to take place. In this case I glittered letters. Then as a final step you squirt water onto the gel medium and rub the paper away. I will do a time lapse video of such so that you can see it. Super easy. Super fun. You just need a little courage because even though it seems highly implausible, it will work. After the beers transferred, I decided that the tag needed something different than I was planning. I liked the door knocker(which I acquired while shopping at the Rose Bowl Flea a few weeks back) at the top of the tag–Super cool–super tarnished brass piece fit perfectly under the scalloped edges of the top of the tag. I wanted to tie the brass into the tag more. So I added gold embossing. 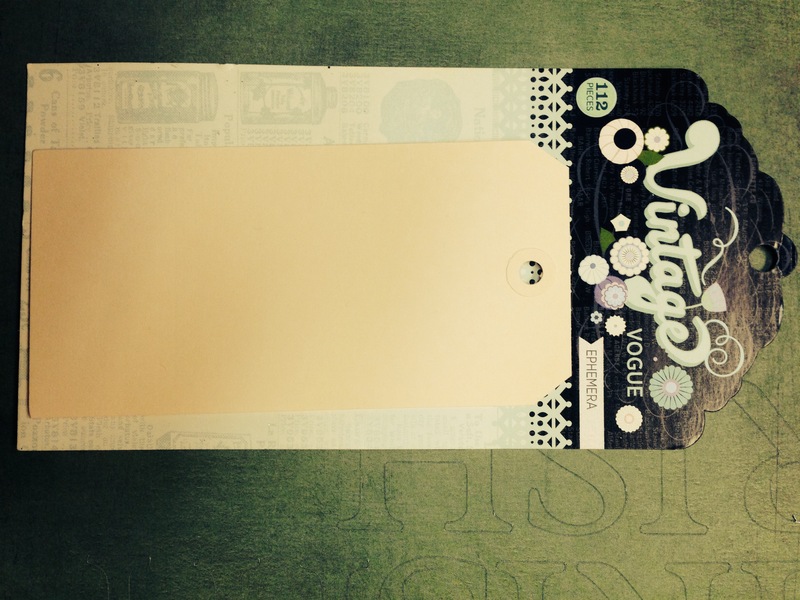 I had been working on Tim Holtz’s March 12 Tags of 2015 “enameled” tag and still had the embossing powder on my desk. So I stamped script over the entire tag and embossed it gold. I like the tie into the brass knocker and the idea of Leprechaun’s pots of gold. Now what? I didn’t like the lettering laid out as planned. So I bunched it up and added a quick “posy” of stick pins. 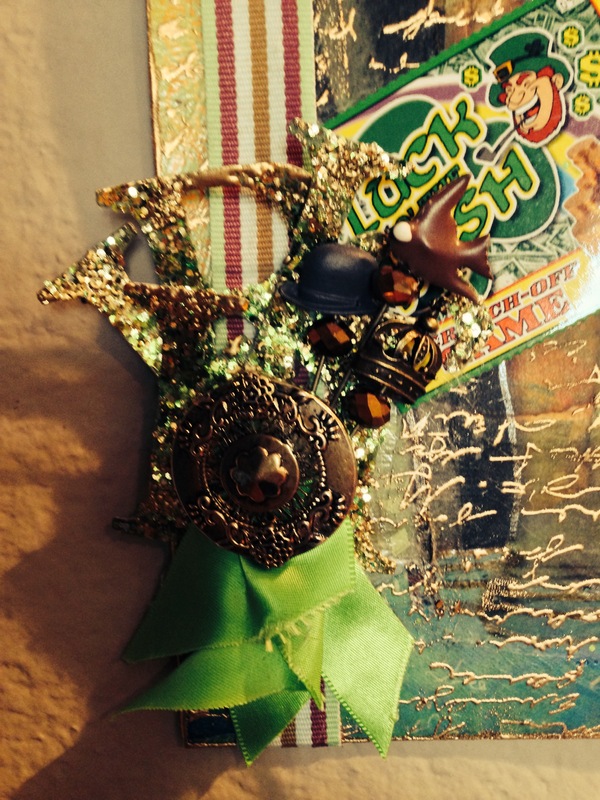 Covered the gluey part with a lovely brass shield and a bit of ribbon that matched the tie top ribbon. 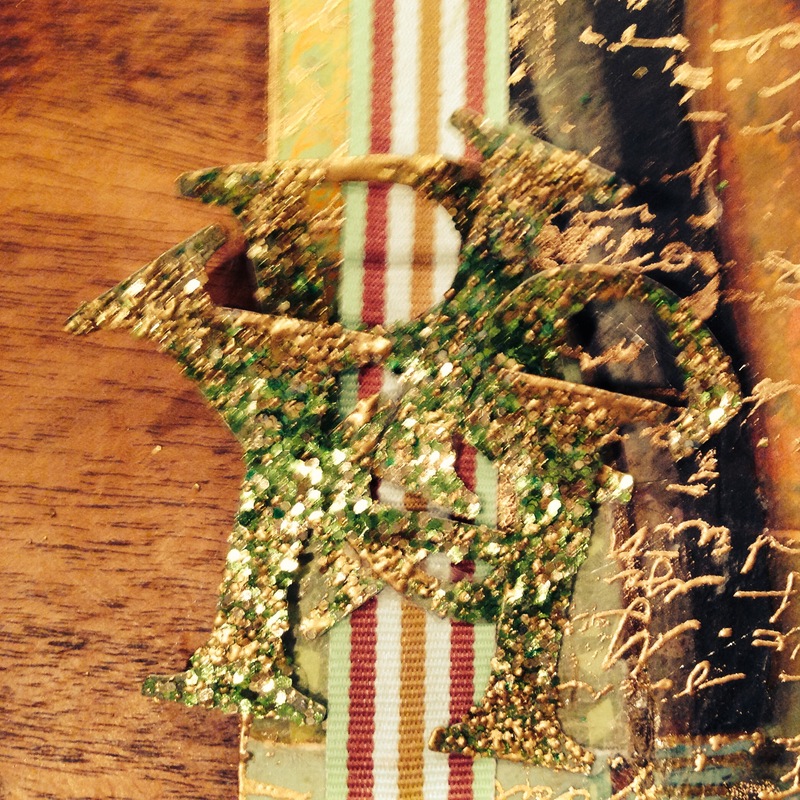 Glued down a green striped grosgrain ribbon and called it a focal point. I love the whole embellishment. Rich, stylish, silly and pretty (just how I like my men-j). Now, that the letters were bunched up I had to decide how to finish the tag. I let the tag hang on my wall for a few days (sometimes quick art aint so quick). I was putting up my shamrock garland when I came across the perfect sized little shamrock. I attached it to the tag and called it done and done.